Symbol LS2208 - PoweredUSB Kit, Black. Includes 6 ft. USB cable, Intellistand. Call to purchase. High performance 1D linear scanner increases productivity, resulting in shorter check-out lines and better customer service. The Symbol LS2208 handheld barcode scanner offers high performance scanning at a moderate price point. 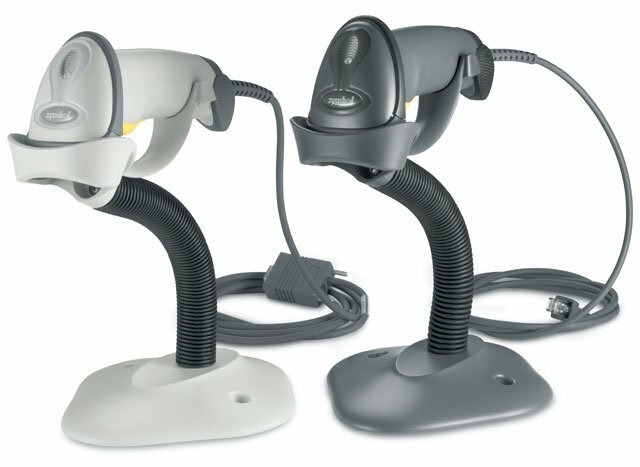 From the retail point-of-sale and backroom to the patient bedside or school book checkout, the LS2208 provides fast, reliable scanning in a durable, lightweight form factor, delivering enhanced productivity and efficiency while reducing your total cost of ownership (TCO). With aggressive scanning capabilities and a wide working range, the LS2208 accurately captures data fast, helping employees work quickly and efficiently. And you'll be up and running fast, because the Symbol LS2208 is easy to deploy and use, thanks to a plug-and-play installation and intuitive, user-friendly design that requires little or no training. Plus the ergonomic, balanced form factor reduces user fatigue to maximize user comfort. 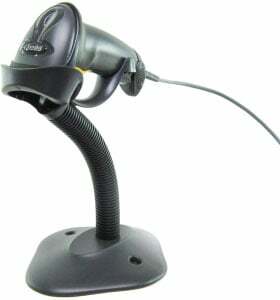 All scanners read RSS codes & feature a 5 year warranty for NEW scanners only. 3 Year Zebra OneCare Service Center Essential. Does not include Comprehensive coverage. 1 Year Zebra OneCare Service Center Essential. Includes Comprehensive coverage. The Symbol LS2208-7AZU0300S is also known as Symbol Technologies	LS2208-7AZU0300S	or LS22087AZU0300S	.